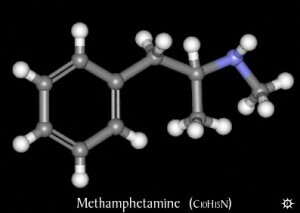 Methamphetamine (Meth) is a powerfully addictive central nervous system stimulant that is used by smoking, snorting, ingesting or injecting intravenously. Meth becomes the focus of the user’s life often leading to the neglect of family, work, home, personal hygiene, safety, etc. Thousands of homes, businesses, vehicles and apartments locally have been contaminated through simply smoking meth on a property or from cooking the product. 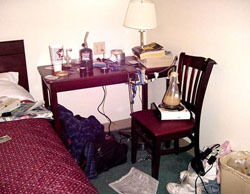 Smoking alone does contaminate the property as well as all the contents within the property. Any building, property or vehicle that has been used as a meth lab must undergo meth testing and, if necessary, decontamination before it can be considered safe for occupancy. Contamination from a meth lab or from smoking meth can leave behind enough meth residue in the ventilation system and on the walls and surfaces that pets, people and especially babies can suffer from related health problems. Contamination from smoking or making meth can leave behind enough methamphetamine on surfaces and in ventilation system that people and pets can suffer from health problems similar to a chronic meth user. Professional meth lab cleaning services are required for the remediation of any clandestine chemistry or mobile drug lab. Meth lab decontamination is an intricate and labor intensive process involving many steps including site assessment, sampling / meth testing, comprehensive work plan, removal of contents, decontamination of structure, post-sampling, documentation, liaison with a Certified Industrial Hygienist, final reporting, and more. These clean up processes are regulated by the EPA. If you suspect that the property is an ACTIVE meth lab, call 911. Active meth labs are EXTREMELY DANGEROUS and require an immediate law enforcement, fire dept. and hazmat team response. If you suspect that your property has been used as a clandestine drug lab, mobile meth lab or has had meth used in it, please call the professionals at TCR to discuss your options. We have a highly trained specialist who will consult with you about your situation. 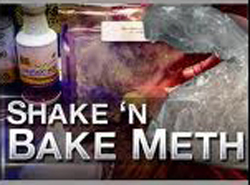 Mobile meth labs knows as “One pot cooks” or “Shake-n-Bake” methods are becoming more prevalent in today’s society. They are just as, if not more, dangerous than clandestine labs because they can be anywhere. Meth labs have been found in many retail stores, restaurants, public restrooms, vehicles, gas stations, and often on one’s person. 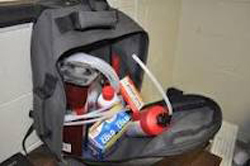 Meth lab equipment is easily hidden in a purse, jacket or pants pocket and requires little space for concealment. Mobile meth labs are highly volatile and if not attended to properly can explode, causing serious injury or death to those around it. Another problem is they require an occasional “Burping” or “Off Gassing” of the bottle, due pressure rising inside the bottle from the chemical reaction. If not done at precise intervals or at the wrong time they can become a handheld bomb. The “vapor” or “off gas” from the chemical process can cause sever lung damage or even death if inhaled. 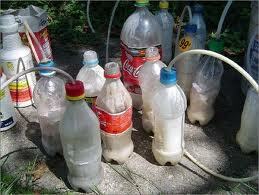 Clandestine Meth labs are “secret” drug labs where methamphetamine is manufactured (cooked), stored and/or used. They are often found in homes, sheds, garages, basements, hotels, rental properties and vehicles. The problem with this type of lab is they more often than not have people living in the structure. There can be serious health problems in people, children or animals exposed to meth labs. Potentially deadly chemicals (either meth or by-products of cooking) can enter the body by inhalation, ingestion or absorption through the skin. Meth use (smoking) and the production of meth (cooking) can cause serious health problems not only in the users, but also innocent victims, who are unintentionally or unknowingly exposed. Why Call a Professional for your Meth Lab Decontamination? Using a properly certified, fully insured methamphetamine lab cleanup company who specializes in clandestine drug lab decontamination and meth testing is your only assurance that the job will be done correctly and safely in order to restore your property back to a healthy environment. Traumatic Cleanup & Restoration LLC, is dedicated to provide discrete, safe and cost effective meth lab cleanup services. Traumatic Cleanup & Restoration is a certified “Green Company” and utilizes environmentally friendly chemicals and detergents throughout our process. Many states, counties and local officials have recently adopted “ EPA Guidelines” and “Specific Testing Limits” and require meth lab cleanup companies to go through a certification process. TCR has taken a leadership role in assisting with the development and implement of these guidelines as well as the development of a remediation process to ensure the proper and safe cleanup, decontamination and restoration of property so your family or tenants can reenter a safe, clean and worry-free environment. View our certifications. Click here to learn more about the Meth Lab Clean Up Process.